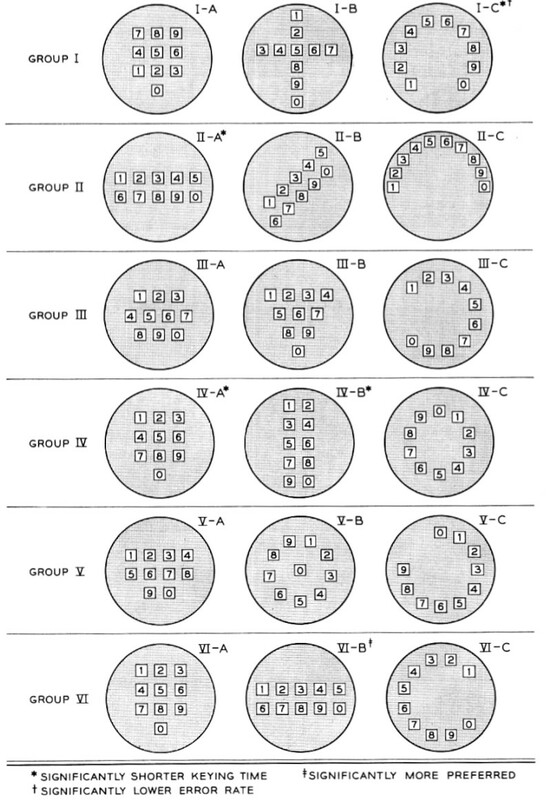 Here are all 17 designs that Bell almost used for the layout of telephone buttons. A simple image - something almost anyone older than 13 could understand. But the thing that really jumps out at me is the key, right at the bottom - 3 symbols which show the metrics Bell used to weigh up the viability of each layout. Time, Errors & User Preference. According to the report, if the majority had their way, we'd have lost a certain level of efficiency by sticking with the traditional calculator design (also seen just next to your right hand on the keyboard num pad). Or we'd be trying to create smartphone devices based around the super simplistic two line approach (seen in figure VI-B). All this stuff might seem obvious, or even inevitable in hindsight... But it's important to note the telephone may have never found similar success if not for this savvy team of UX designers. What problems are you currently trying to solve? Do you know what your 'test metrics' look like? HINT: This stuff isn't just for designers.